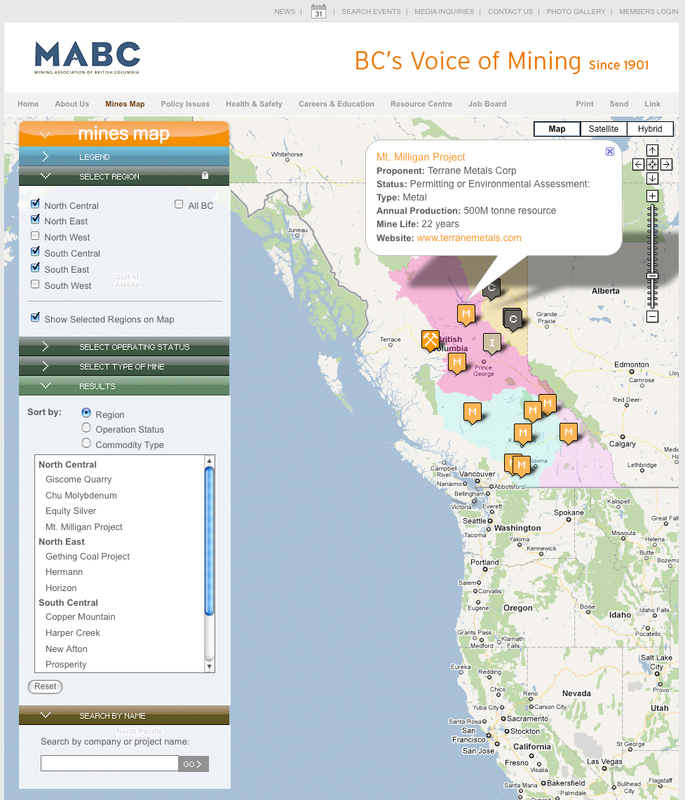 The MABC Map Search project involved creating an interactive map-based search using Google Maps and a Drupal backend. Users can search through mines by using various filters and sorting options in the drop down form, and the results are instantly displayed on the Google-powered map. I was responsible for all theming and development work. The front-end map & searching tools were all built entirely from scratch.